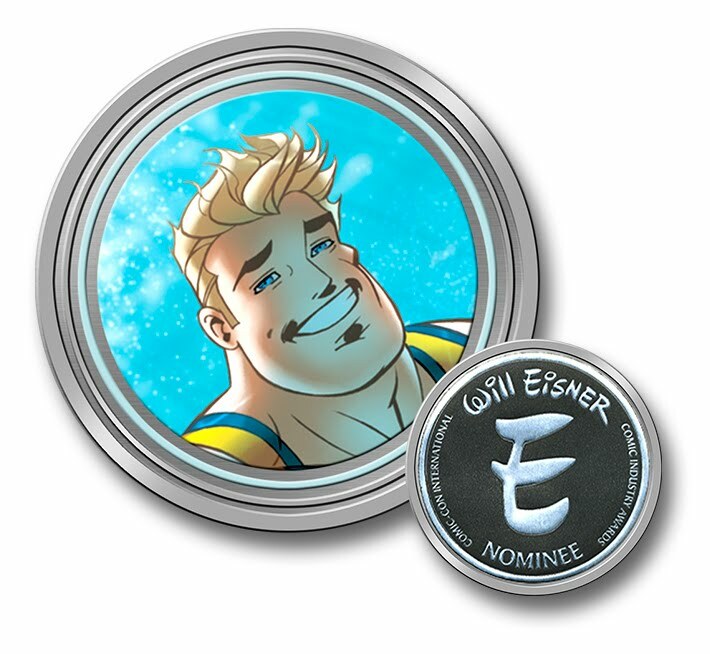 Well you could have knocked me down with a feather when I was informed that Marineman had been nominated for an Eisner Award for 'Best New Series"! So please, when voting begins, vote for Marineman as best new series! Wow! Awesome, that is so exciting. I'm glad this great series is getting the nomination I truly think it deserves. Good luck and congratulations! Congrats on the Eisner nomination! It completely well deserved. This has to be my favorite book on the stands. I can't wait for hardcover. I love this book so much that even though I got the singles I still bought the first 3 issues on comixology today. Lets just hope for another mini soon.Keep it up Ian. Congratulations on the Eisner nomination, Ian, and on an excellent series. Somehow, Marineman had flown under my radar until i saw the Eisner nomination list and said, "What's this? It sounds interesting." I checked out a few online previews and decided to give Marineman a shot. I ordered all 4 issues online and they arrived a few days ago. I just finished issue #4 and I'm delighted! Marineman is now one of my favorite comics on the market and I eagerly await issue #5. Your book has a light, fun quality that's lacking in far too many superhero comics today but you're telling a compelling story too. The art is beautiful, really nice work. That Atlantis spread was glorious! I have just one minor quibble: please let the art stand on it's own a little more with less blurring and digital effects work. The blurred lines and softened backgrounds may help achieve a certain depth of field but they also distract and make it harder to see your excellent linework. I think you're already achieving great depth of field with color, value and color holds. Please, let that beautiful art stand on it's own without the blurs! Thanks again for making one of the most entertaining, enjoyable new comics on the market. Keep up the good work! dhoffman25 - Thanks for going the extra mile with the Comixology thing - Marineman on mobile devices - It's the future right here in the present! I think Marineman has fallen under the radar of many a comic collector but I'm glad and heartened that you found your way to it eventually and I hope more people find their way as you have! Thanks for taking a chance on Marineman! We're all a bunch of marineheads, and long may we keep our heads submerged!